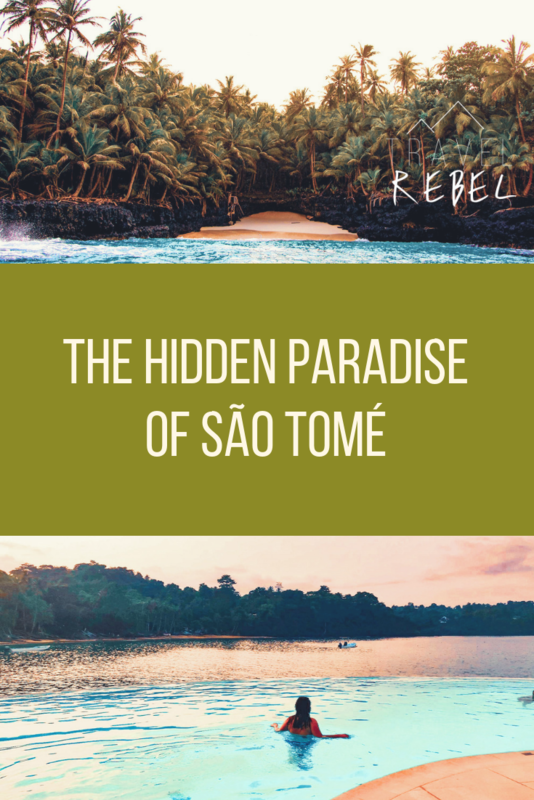 São Tomé – what an incredible experience, and made even better by the excellent places I stayed at. 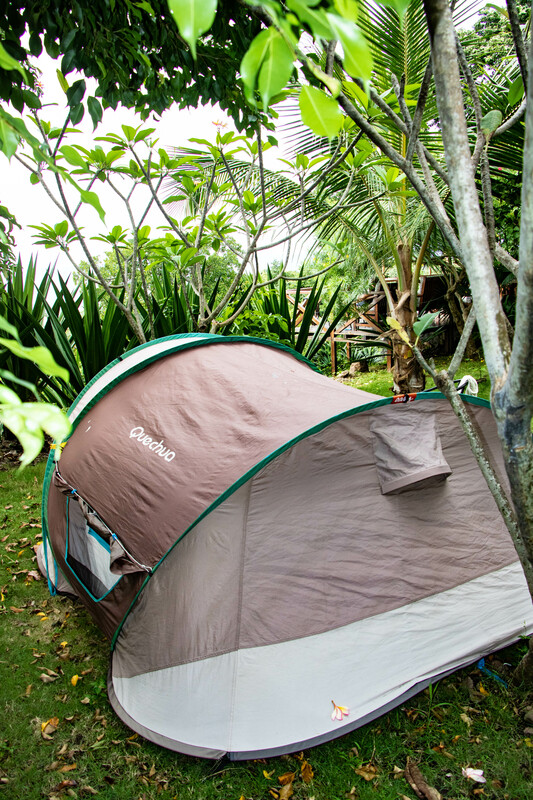 As any seasoned traveller will tell you, lodgings make a big difference. It’s not about luxury or comfort… it’s about finding a place that gives you a sense of belonging. 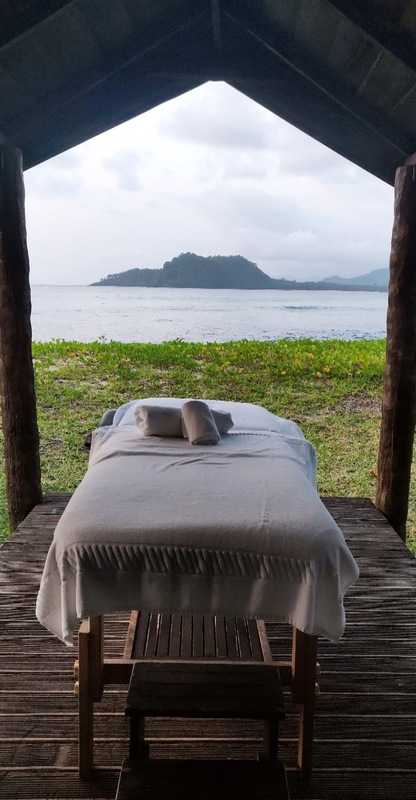 So, if you’re planning your own adventure to a place that has shunned over tourism until now, read on to find out more about some great accommodations in Sao Tome – a pristine paradise where you can rest, relax and recharge. After a long flight, I like to stay at hotels that are somewhat luxurious… I mean, have to recuperate, right? 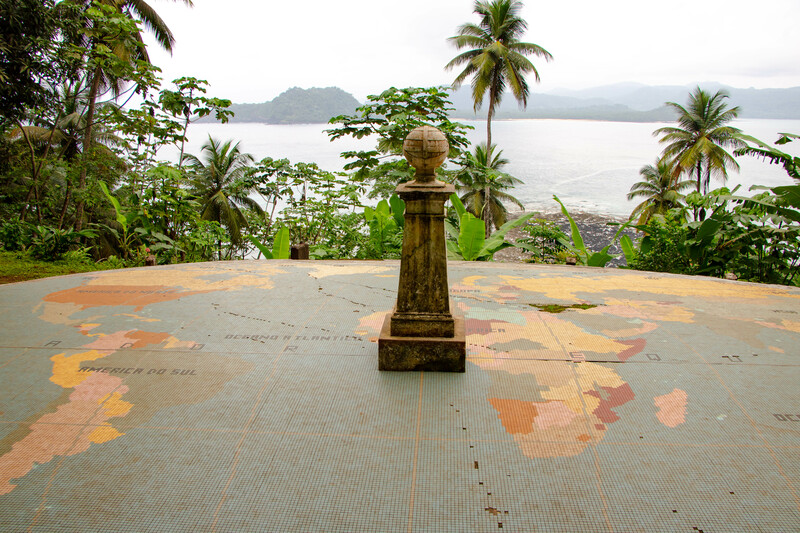 Luckily, I spent my first night in Sao Tome at the absolutely incredible Omali Lodge. Omali Lodge is a magical place and I’m not exaggerating when I say that I immediately felt at home. I was welcomed with a detox juice which was a delicious godsend after such a long journey. With just 30 rooms available, this elegant boutique hotel is not only stunning but also eco conscious… the perfect combination for all those sustainable travel enthusiasts! 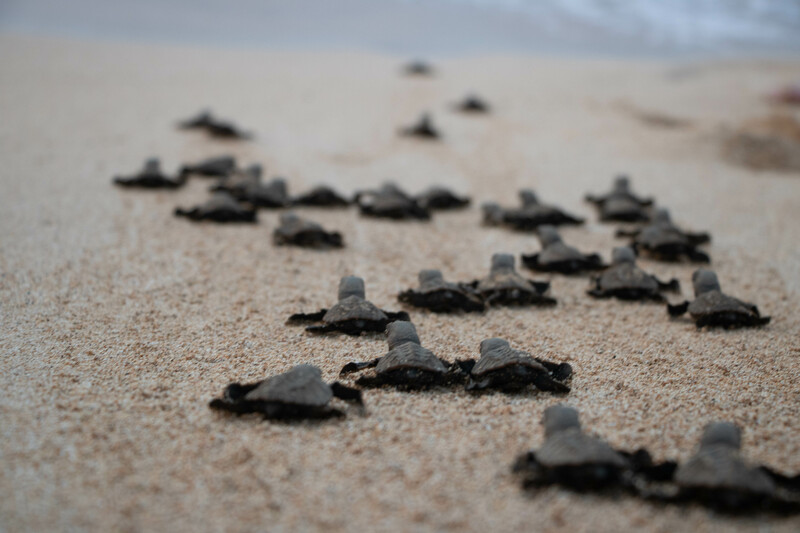 According to their philosophy, their team works hard to adhere to the values of ‘responsible tourism’ and reduce their carbon footprint. 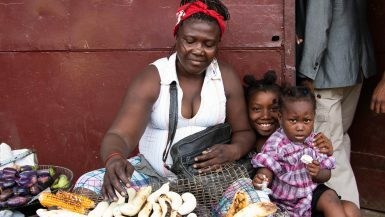 They aim to have a positive and sustainable impact on the island of Sao Tome by promoting good environmental practices. And I can attest to this – all these efforts are so organic and integrated that it’s a pleasure being amidst it all. 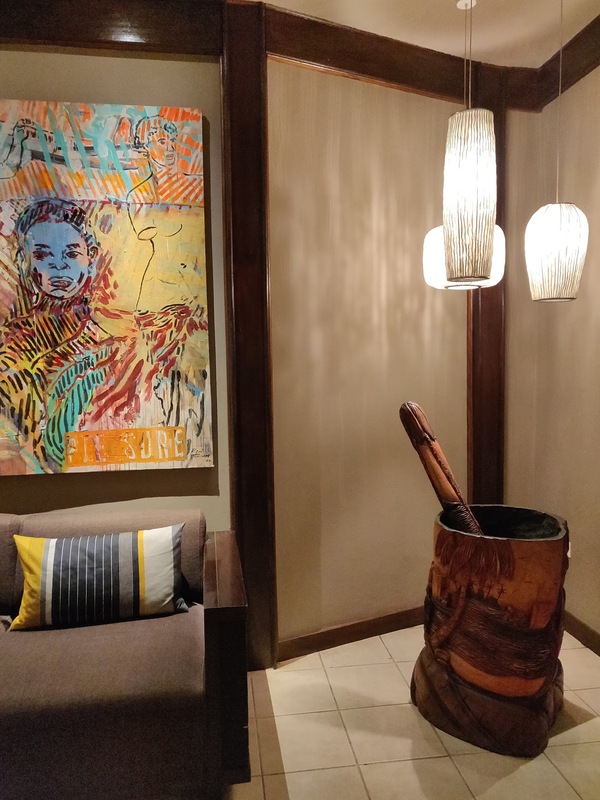 They actively try to put forth energy efficient practices and mesh the experience of guests with the social and cultural fabric of the local community. Don’t believe me when I say these efforts are wide-ranging and integrated? Just take a look at these trash bins, which I LOVED! 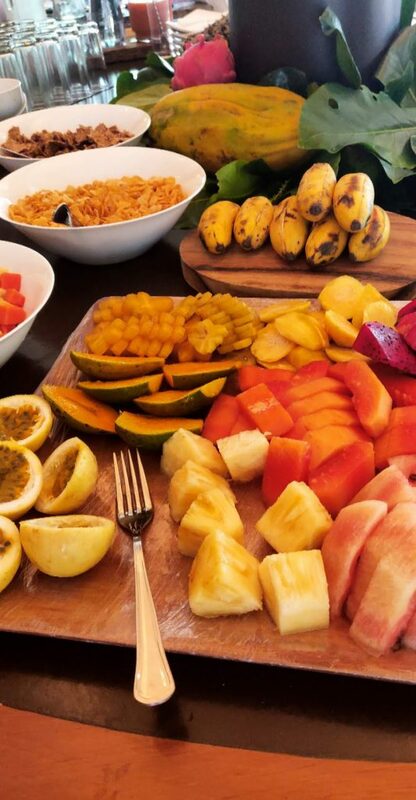 It’s the little stuff like this that made staying at Omali an unforgettable experience. As you know, I normally don’t support international hotel groups and prefer to stay in locally-owned hotels. 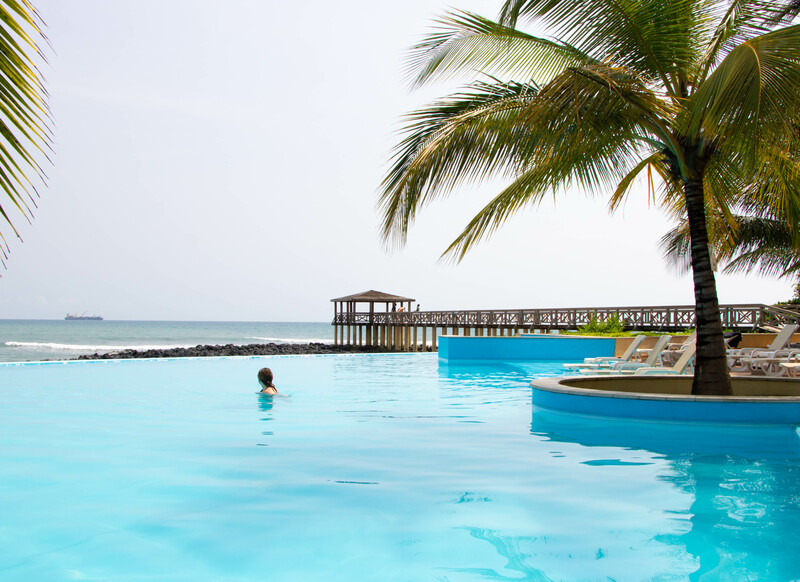 However, if you want to enjoy the Ilheu das Rolas (a small island on the equator), I would definitely recommend that you spend a night in Pestana Equador. Here, you will get all the relaxation you need, along with every opportunity to fully enjoy this tiny island. Merely five minutes after I checked in, just as I was putting my suitcase in my room, a staff member enthusiastically ran towards me and asked if I “wanted to see a small turtle”. Any guesses to what my answer was? 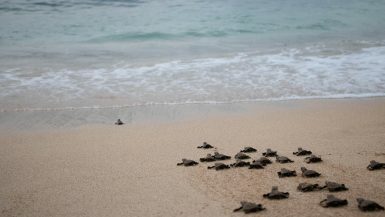 Grinning from ear to ear, I said yes and was led to not one, but more than 30 baby turtles that were just around 5o days old being released into the ocean as the sun set. What an experience! The morning after, I went on a private boat trip around the island at 6 am. The things I saw truly blew my mind: fantastic beaches, small geysers and the bluest of bluest of blue water! Truly, I’ve never seen such staggerings vistas. Oh, another crucial detail: NO TOURISTS. And here, I must reiterate: how I wish I could protect this little piece of heaven forever! Regular, irresponsible tourism is bound to ruin it all. But If tourism grows sustainably, the citizens will stay happy, there will be better job opportunities, and the fantastic nature will be preserved. What a win-win situation! After the boat trip, I enjoyed the hotel’s scrumptious breakfast buffet while doing some work and then went on a walking excursion around the island with some other travellers from Portugal. We discovered all kinds of fruits along the way, interacted with small communities, and even saw the exact equator! 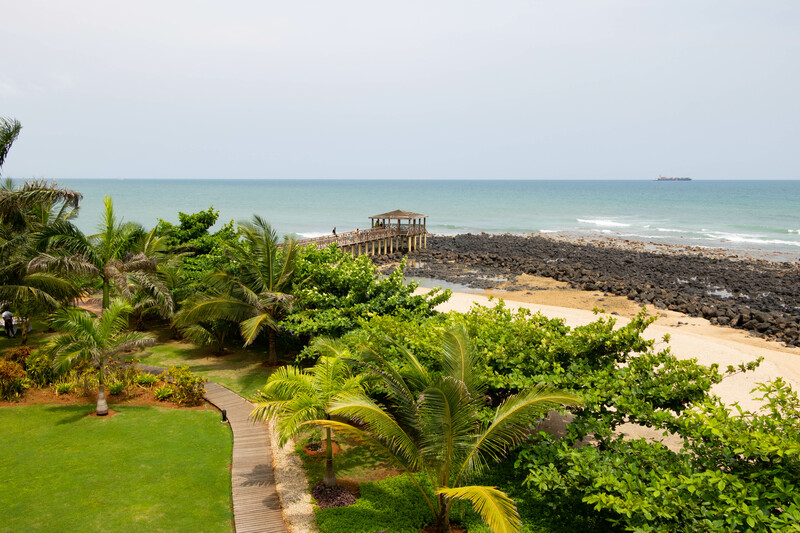 Needless to say, I really enjoyed every moment at the Pestana hotels in Sao Tome City (both Miramar and Sao Tome). 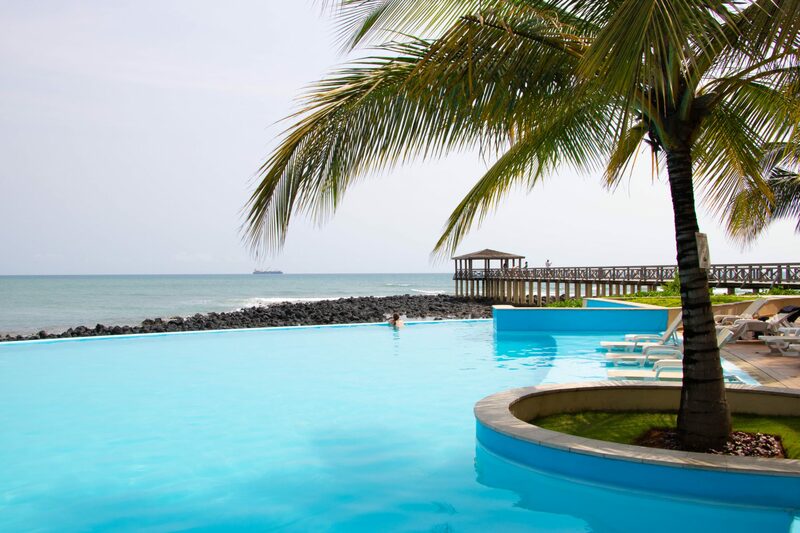 Although I definitely preferred the beautiful view of Pestana Sao Tome, the services were splendid everywhere. 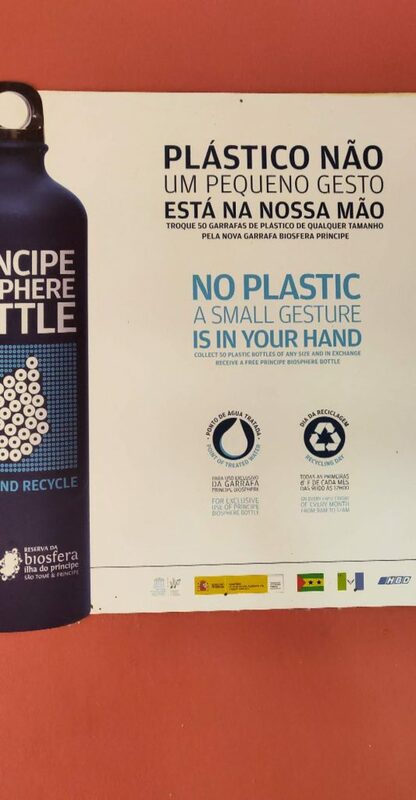 And, before you think I’m putting my love for sustainable travel in the background, do note that the Pestana Group is actively involved in a myriad of sustainability efforts. 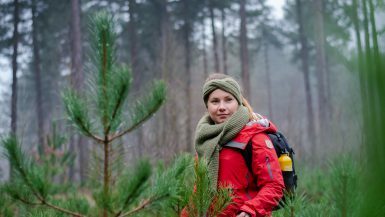 It prides itself as an organization of people who deeply respect the environment, the locals, and corporate ethics. The group regularly spearheads educational initiatives and campaigns in various locations that help local communities grow. There are also initiatives to reduce the use of non-renewable resources, biodiversity preservation efforts, and programmes for social inclusion of minority groups in various societies. Oh, and eight Pestana hotels have been awarded prestigious the Green Key, a certification that distinguishes hotels that promote sustainable tourism. Absolutely awesome, right? So, what are you waiting for? If you’re interested in staying at one of the Pestana hotels, click here and get 10% off! 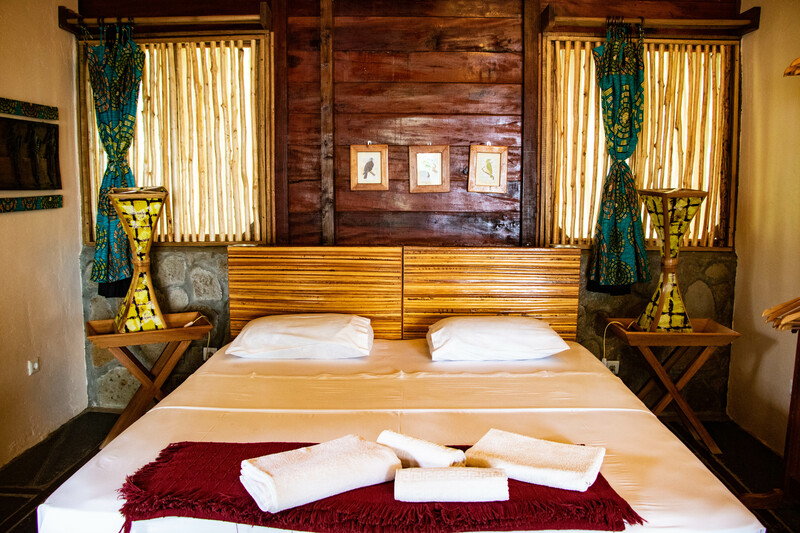 If you’re going to the south of the Island, another good accommodation option is the Ecolodge Praia Inhame. They offer surfing lessons, scuba diving, mountain hiking and so much more. 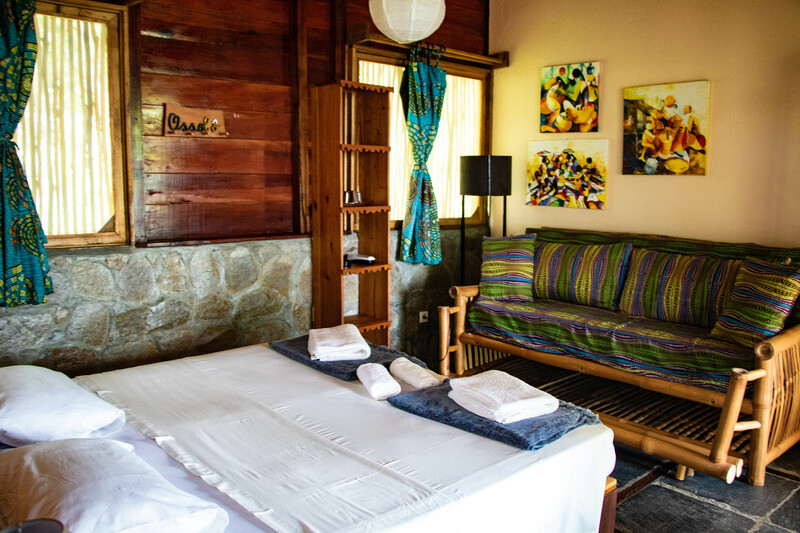 Because it’s an ecolodge, this experience will definitely be more raw… and, trust me, you’ll learn so much more! On a strict budget? 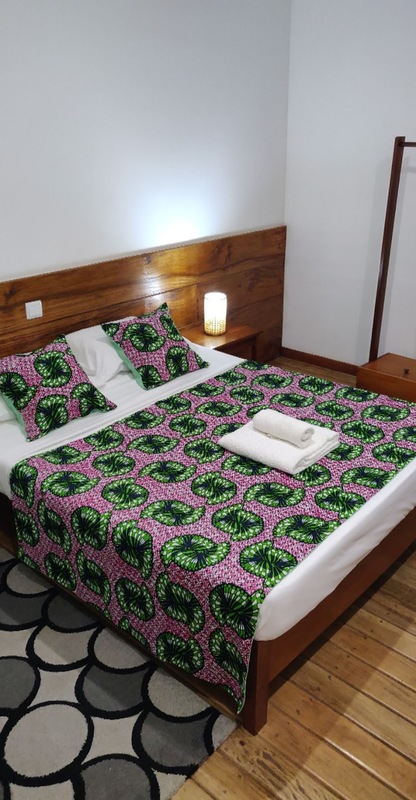 Sleep at the Sao Pedro Guesthouse in Sao Tome city. They have spacious rooms, great bathrooms and air conditioning. Moreover, they also have a poor and bar! For more information, contact them at geral.sp.guesthouse@gmail.com. Another place I loved was the Sweet Guesthouse in Sao Tome city. The general vibe here was fantastic. They have common rooms, such as an outside terrace where you can read a book, a television room and a spacious kitchen where you can cook your own meal. Incredibly friendly staff members (bonus: their English is great!). Use my Booking.com link and get 10% off! At Mucumbli, in Pont Figo (north of the island), you can either rent a bungalow (for around EUR 80), rent a tent (for EUR 20), or set up your own tent. Mucumbli is the perfect spot in the north to start your 1-4 day hike, go mountain biking, enjoy a day at the black beach, or simply to take a boat to the south. The restaurant here offers wonderful food and even more incredible views of the lush green landscape and clear waters. If real tranquility is what you seek, this is an experience you simply cannot miss! 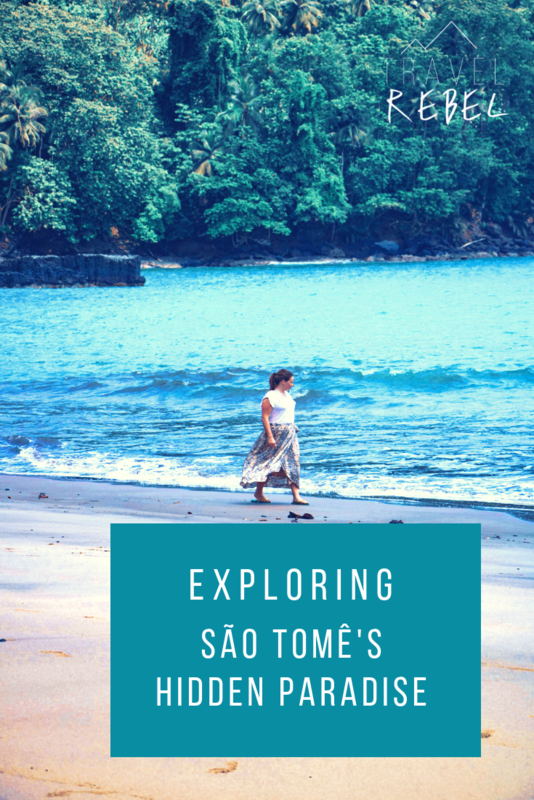 So this was my round-up of some lodging options in Sao Tome that are definitely worth checking out. And now that accommodation research is out of the way, you can concentrate on more things… such as all the fun activities you can partake in when you get here! Happy traveling!